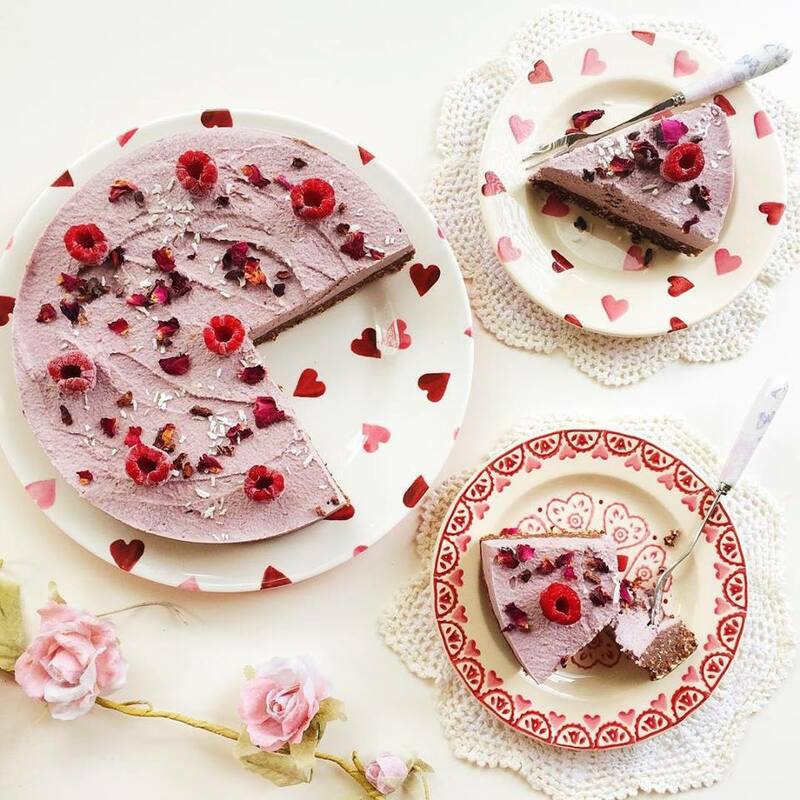 This raw cheesecake has got to be one of my favourite ever recipes! The combination of chocolate and berries is just heavenly and it's so aesthetically pleasing too. For the filling I used frozen berries plus a scoop of Organic Berry Complex powder from Neal's Yard Remedies. I'm absolutely in love with this powder and I really recommend it but if you don't fancy buying it then you can just use a tablespoon of any other berry powder (such as acai), or you can leave it out altogether - the cheesecake will still taste fab and have heaps of nutritional benefits! If you have stubborn family members or friends who refuse to eat vegan food then this is the perfect dessert to serve - let them try it before you tell them it's raw and vegan though! As well as being delicious, this cheesecake is also one of the most nourishing treats you could have - it's full of healthy fats and protein which will help make your nails strong, your skin glow and your hair shine. What more could you want? Line a springform cake tin with greaseproof/baking paper. Put the cheesecake into your freezer and leave it for at least 2 hours to allow it to set. Once it's ready remove it from the tin and peel off the greaseproof paper. Let it defrost slightly before serving. This looks so delicious! It's hard to believe it's actually vegan. Really need to try making this one day.. Right so I clearly have a HUGE thing about cheesecake because this one looks even better than the last one. Saving this for the weekend...I'm definitely gonna be giving this a go!